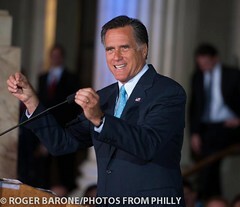 Are Romney’s tax dodges legal? It’s impossible to say for sure, given how little he has disclosed. But tax experts note that there are plenty of red flags, including an investigation by New York prosecutors into tax abuses at Bain Capital that began on Romney’s watch. “He aggressively exploits every loophole he can find,” says Victor Fleischer, a professor of tax law at the University of Colorado. “He’s pushing the limits of tax law beyond what many think is reasonable.” Indeed, a look at Romney’s finances reveals just how skilled he is at hiding his wealth – and paying a fraction of his fair share in taxes. On his 2010 tax return, Romney disclosed that his wife Ann’s trust held $3 million in a Swiss bank account at UBS, which had just been busted by the IRS for abetting criminal tax evasion by U.S. citizens. As part of a $780 million settlement, UBS was forced to turn over the names of thousands of its long-secret clients, who were then offered a partial amnesty: disclose their hidden assets, pay penalties and avoid prosecution. 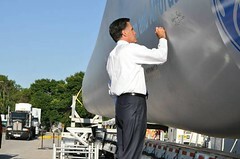 Romney – who had omitted the Swiss account on previous financial disclosures – suddenly came clean. Did he reveal his secret account to avoid prosecution for tax evasion? “He’s not quite denied that,” says Daniel Shaviro, a professor of tax law at NYU. The record of paying an IRS penalty on the Swiss account could explain why Romney has been so determined to keep his 2009 tax return under wraps. In 2000, when Romney was CEO of Bain, the firm hit the jackpot: A $40 million investment in the Italian yellow pages during the tech boom returned an astonishing $1 billion. Romney himself reportedly ended up with $50 million – a cut larger than Bain’s initial investment. To evade taxes on the gains, Romney steered the profits through Bain subsidiaries in Luxembourg, Europe’s most notorious tax shelter, where the money would be exempt from foreign taxes. In 2009, as a board member for Marriott, Romney also helped the hotel chain use the same tax tricks to shelter more than $200 million in Luxembourg. Marriott wound up paying less than half the corporate tax rate – just 16.9 percent. Romney has nearly $30 million stashed in at least a dozen Bain funds in the Cayman Islands, where, as one filing boasts, investments are free from “income, estate, transfer, sales, or other Cayman Islands taxes.” But because some of those funds are directly invested in U.S. companies, they likely disclose their investors to the IRS, making them unattractive to tax cheats. So Bain also raises capital for its deals by selling shares in “feeder funds” – intermediary entities that invest in Bain’s official funds, but don’t have to make disclosures to the IRS. “If you want to cheat, they’ve rolled out the red carpet for you,” says Wilkins. Has Romney paid all his taxes on the shady funds? Only he and the IRS know for sure. But even if Romney never cheated personally, the feeder funds he appears to have invested in cater to tax criminals, making it easier for him and his Bain partners to raise capital and rake in big management fees. Romney is profiting from one form of tax evasion in the Caymans: equity swaps. Under this racket run by top Wall Street banks, American firms pay out their profits – tax-free – to investment funds based in the Caymans. According to a Senate investigation, the purpose of these complex instruments is “to dodge payment of U.S. taxes on U.S. stock dividends.” Romney has more than $1.25 million invested in four funds that profit from equity swaps – including two managed by Goldman Sachs. Romney has stockpiled as much as $87 million in his IRA – even though contributions to such retirement accounts are limited to just $30,000 a year. “Congress never intended IRAs to be used to accumulate that kind of wealth,” says Wilkins. To get around the limits, Romney appears to have directed his IRA to invest in a special class of Bain stock. By assigning an artificially low value to the shares, Bain ensured that any returns would be wildly inflated – as much as 30 times the initial investment. By buying rigged stock with his limited IRA dollars, Romney got to reap the bonanza tax-free. Romney also padded his IRA by investing in “blocker funds” that Bain has set up in the Caymans. Such funds attract tax-exempt investors – like college endowments or Romney’s IRA – that want to avoid paying the Unrelated Business Income Tax, a 35 percent penalty designed to prevent tax-exempt investors from having an unfair advantage over for-profit businesses in private-equity deals. But by buying shares in offshore blocker funds that then invest in Bain and other takeover artists, investors like Romney bilk the Treasury out of $100 million a year. “It’s an absurdly easy escape,” says Shaviro. Mitt Romney is lying again. 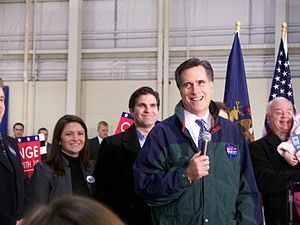 On the eve of his speech at the Republican convention, Romney and his campaign have launched a new site touting Mitt’s private-sector experience:SterlingBusinessCareer.com. Federal records obtained by Rolling Stone through a Freedom of Information Act request reveal that Bain & Company lost money in both 1991 and 1992 — with Romney at the helm. 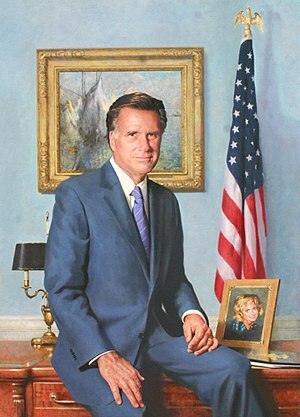 For more on the true story behind the government bailout that saved Romney’s career, read this piece from the magazine. View other highlights from the FDIC documents obtained by Rolling Stone here. 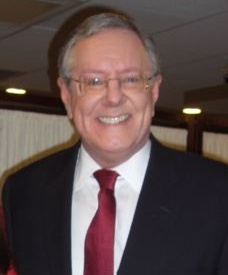 Douglas Gross Iowa chairman, Romney 2008…Take me to that meeting. Tell me where it was and what you were there to do. And he believes that this country is the only hope for freedom in this world. Because there are other countries that have freedom, but without the strongest country in the world supporting freedom, other philosophies could take over. The philosophy of Russia trying to use its natural resources to become a superpower again, they don’t have freedom. China trying to use some of our free-enterprise system, but they don’t have freedom. You don’t have freedom of education, freedom of where you’re going to live, what job you’re going to have, or let alone religion. And then you have the radical Islamists that want to destroy everything in the West at every opportunity in democracy, at any event. And Western Europe and other places that have some freedom, they don’t have the ability to sustain it on their own anymore. They could be subsumed by the other philosophies in this world. A friend of mine, Rich Schwarm and I — Rich is a former political Republican party chair in Iowa — we flew out and met with [senior Romney adviser] Beth Myers and a number of the key people and discussed the campaign. I remember the initial discussion of the campaign, the strategy of the campaign. They were very interested in what the caucuses were about. They really couldn’t quite figure them out, and they also wanted to know how he should be positioned if he wanted to have a chance of winning the caucuses. I remember that I had read some material on him previously, particularly something I think Mike Murphy had written, talking about how he adopted a position on abortion, one when he became governor, and then two now that he was running for president. And I was concerned about that. After that discussion, then we went to dinner with both the governor and his wife, Ann, at the top of the Ritz-Carlton, overlooking the Boston Common. I suspect they thought that this country boy from Iowa would have stars in his eyes associated with that kind of a setting. I’ve dealt with people who have been running for president. That’s one of the opportunities you have in Iowa is you have an opportunity to deal with people who would like to be president, and you don’t have stars in your eyes. You see the world very clearly. And you feel that one of our jobs as Iowans is sort of do the job interview and see what these folks are made of, and if they have the capabilities to be a successful president. What I had read about him, and the information I had learned about him, I was impressed with him from the standpoint that I thought he understood big issues. I thought the country was facing big problems, and this is a guy who could tackle those. He had both the intellectual capacity, the organizational capacity to do that. But. Decoy issues are smoke-screens for a far more radical agenda to shred federalism, if not the 20th C. What President Perry would deliver goes well beyond “fixing” a program or two. The core fringe mania is “taking back the country,” per a Perry-Manifesto conspicuous from rightwing ravings. As a public service, I here collate ten, nearly Biblical commandments for a born-again country. Were God to move in such mysterious ways, President Perry’s first inauguration speech will teem with excess. You heard it here first. Mandate #1 – Let us declare our Founders endorsed only small, minimalist government, limited to taxation, currency, repayment of loans and border defense against enemies (armed invaders, immigrants, revolutionaries, deviants, etc.). 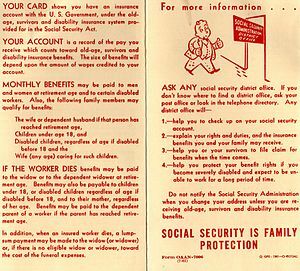 Thus, every welfare or social notion since the New Deal is unconstitutional and un-American, namely: Medicare, Social Security, Dept. of Education, EPA, all civil rights laws, funding for science, pandemic diseases, global warming, evolution, PBS, NPR, etc. Mandate #2 – Because God destined this a Christian nation (with evangelical rule), we should rededicate a true America to be a Dominionist stronghold answerable to a literalist reading of the Holy Bible, as interpreted by born-again preachers and heads of believers’ colleges. Elections are fine when the elect govern. Mandate #3 – Abortion shall not only be banned but advocates imprisoned for committing “sins against God’s law.” Abortion doctors should be indicted for murder, liable to capital punishment. Women committing abortion shall be fined heavily; or, if poor, be open to impregnation by approved Christians to offset the killing of the unborn. Mandate #4 – Sexuality outside of marriage will be punished by jail or, if teens and gays, humiliation in public stocks. Pregnancy outside of marriage shall be illegal, but no child will be aborted, without exception. Since “gay rights” is an oxymoron, no one can be gay and have any rights. Just like old times, homosexuality will be sinful, illegal and a mental condition. Mandate #5 – The Pentagon will be granted direct taxing ability, plus the right to draft heterosexual males, whenever and wherever. For warrior males over 50, crippled or beyond military service, Pentagon-run camps will establish gung ho patriotism weekends. Mandate #6 – Gun ownership will be universal for men, optional for women. No school or location limitations, though counties may restrict minority access. Any white male over 18 not carrying a gun can’t vote, drink, own property or carouse in public. Mandate #8 – By majority rule, states may nullify any federal stature, especially regarding civil rights, invasions of privacy, or restrictions on alcohol or drug consumption or cultivation. States by two-thirds majority vote may secede or rejoin the union at will, thus providing a healthy dynamism that checks federal over-reach. 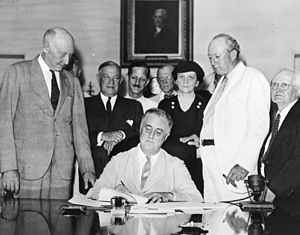 Mandate #9 – Since labor or workers’ union are not mentioned in the Constitution, all unions will be banned and dismantled, not just in the public sector. Mandate #10 – Federal taxes shall not be raised without a two-thirds vote of Congress; however, taxes shall be lowered by a simple majority of House members. 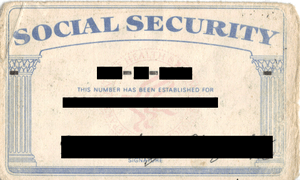 Every candidate for president, vice-president or senator must provide a long-form American birth certificate, plus evidence of never having been Muslim, socialist, or alien from outer space.